Unless the state pursues a model of zero tolerance towards the crisis, it may end in water wars. 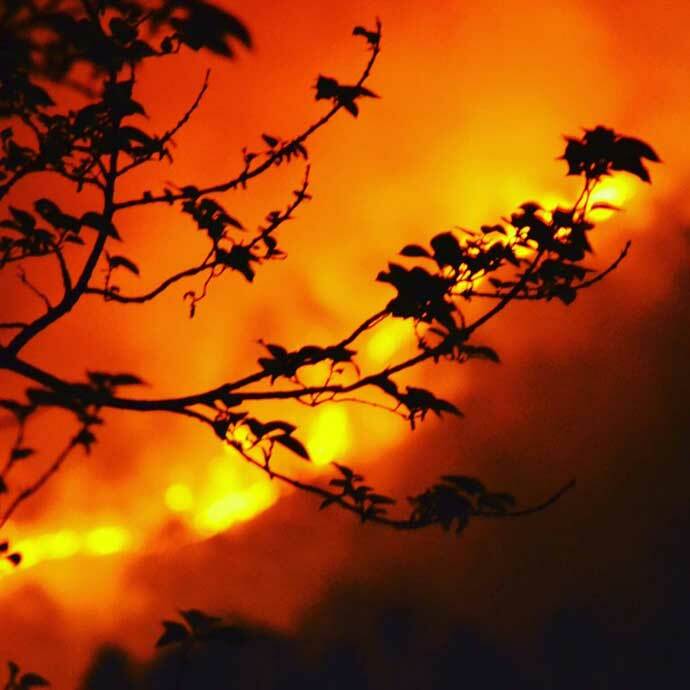 Three years after the Supreme Court banned the felling of trees above 1,000m elevation in 1981, the cycle of uncontrollable forest fires began in the western Himalaya. Since then, the forests have been devastated by people setting fires repeatedly, once at the end of winter, when the monsoon growth has dried and again in April-May, when Chir pines shed their resinous needles and the forest is covered in a carpet of highly inflammable biomass. 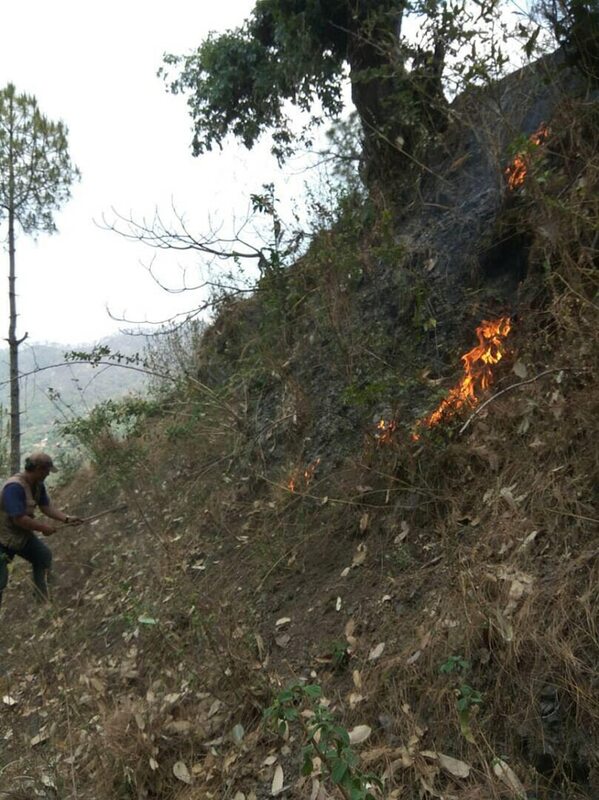 In Uttarakhand, the arrest of more than 200 people on charges of setting fires during May-June 2016 brought matters under control until mid-April 2017, despite the unusually dry winter months, when the forests would have burnt had someone set a match to them. The arrests continued in 2017, with five people being sent to jail for setting forest fires in different incidents in early April. 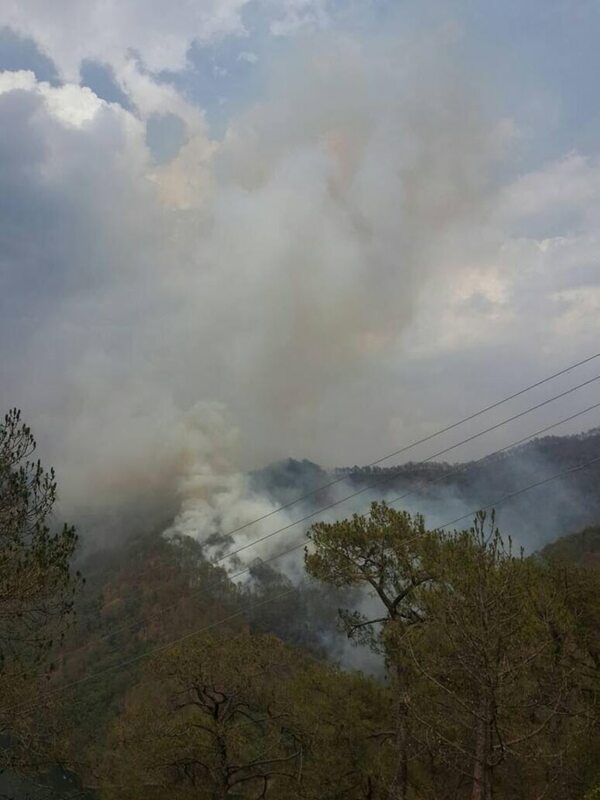 However, vested interests appear to have decided to strike again in recent days, with the forests again going up in flames, over such large tracts simultaneously that forest department personnel and local people are quite unable to fight on the number of fronts that have been opened. The scale of fires suggests some level of co-ordination. 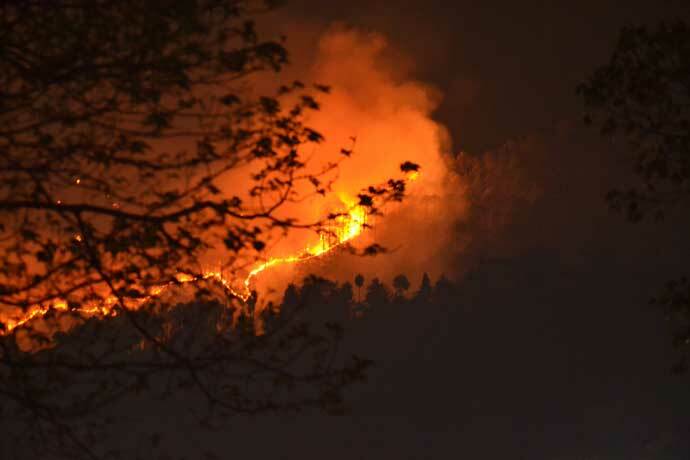 The High Court of Uttarakhand took a dim view of such fires and ordered that if a forest fire continued for more than 24 hours, the concerned Divisional Forest Officer could consider himself or herself suspended, if they raged for 48 hours, the Conservator could do the same and if the fire continued for more than 72 hours, the suspension would apply to the Principal Chief Conservator of Forests. 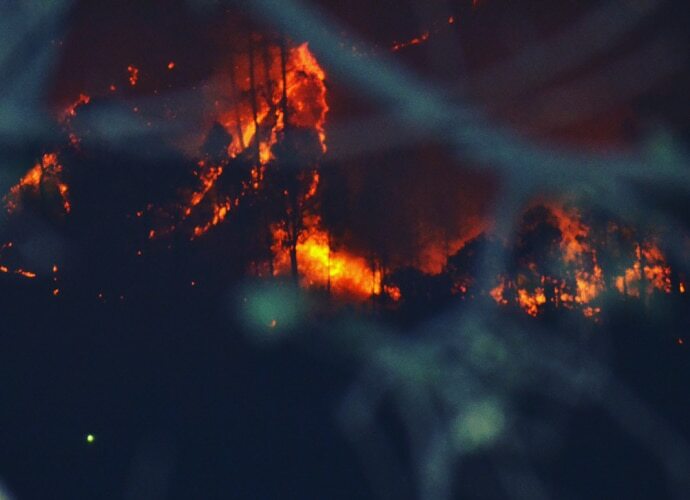 This order has no doubt spurred the forest department to act and they have discovered two things that they appeared to be unaware of earlier: firstly, that fires are not "natural" but are clearly set by people armed with a matchstick and, secondly, they do not need crores and crores of rupees to put out forest fires. Instead, boots on the ground and switches of green boughs and rakes are the most effective means of dousing forest fires. The argument that forest fires are set by villagers in expectation of a growth of nutritious grass with the coming of the monsoon is dispelled by the realisation that this might apply to grasslands or open pine forests, but not to Himalayan oak and sal forests, where grass does not grow in abundance! 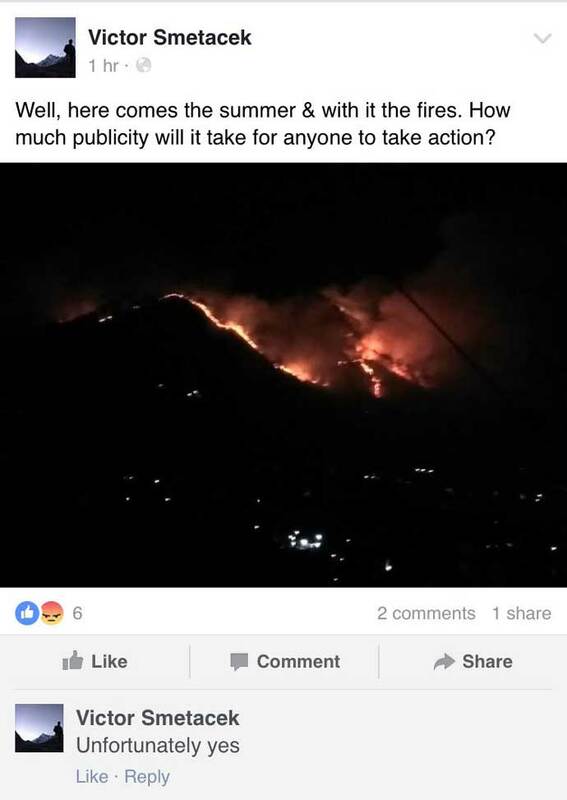 So the forest department and apologists for the fires have to learn how to distinguish between a forest fire and a grassland fire. The practice of controlled burning of forests by the forest department originated before Independence, when wood was the primary product of forests of the western Himalaya. For this, the undergrowth was not needed, so controlled burning during the winter resulted in fewer fires during summer. Saplings were planted according to perceived future needs, as in Europe. Now, however, the emphasis of forests has shifted from producing wood to nurturing biodiversity and groundwater systems. Forest fires, even grassland fires, are entirely incompatible with these goals, so it is time for the forest department to review their management practices and focus on conservation rather than practices that have lost their justification. The undergrowth in a forest, which is destroyed by fire, whether controlled or otherwise, is home to a vast variety of shrubs, herbs and fungi. These constitute the food of a web of insects, spiders, worms and other invertebrates, who, in turn, sustain a variety of insectivorous birds, mammals, reptiles and amphibians. Therefore, state forest departments in the Western Himalaya, as well as the rest of India, need to pursue a model of zero tolerance towards fires. The days of using fires as a means of "control" are certainly over, since the goals have shifted and there is no Indian plant that requires fire to help its seeds to germinate, as in the North American Lodgepole Pine (Pinus contorta). Another fruitful field of study would be for sociologists to understand the reasons for members of the public, outside the organised nexus of wood contractors and corrupt forest department officials, setting fire to forests. The people facing prosecution could provide valuable insights into the matter, which might help mitigate such arson in future. If their problems are addressed by the forest department, it would be possible to turn the figurative destroyers into protectors. In some cases that I am aware of, fires are set by people whose fields border pine forest, since they fear the loss of their crop in a wildfire. This could be certainly addressed by the forest department clearing the pine trees within a certain distance of habitation and fields or orchards and replacing these with broadleaf growth, which are not subject to summer fires. In conclusion, the management of our forests — with the goals of biodiversity conservation and stabilisation of groundwater resources in mind — requires the application of existing laws and out-of-the-box solutions to genuine grievances by residents. The majority of people would like to see lush forests cover the land, springs to flow and wildlife to abound. In order to achieve this, the greed of the few has to be curtailed and it would greatly help if political parties in the states placed the respective forest departments in the same category as the Army and desisted from demanding monthly kickbacks. This would make the wood contractor-corrupt official nexus entirely a private enterprise which could be dealt with. But will the heads of political parties listen? If not, then we are well along the path towards the water wars on the subcontinent predicted by some United Nations bodies. The author founded the Butterfly Research Centre, Bhimtal and specializes in butterflies and moths, which he uses as bio-indicators to assess the health of forests and groundwater.